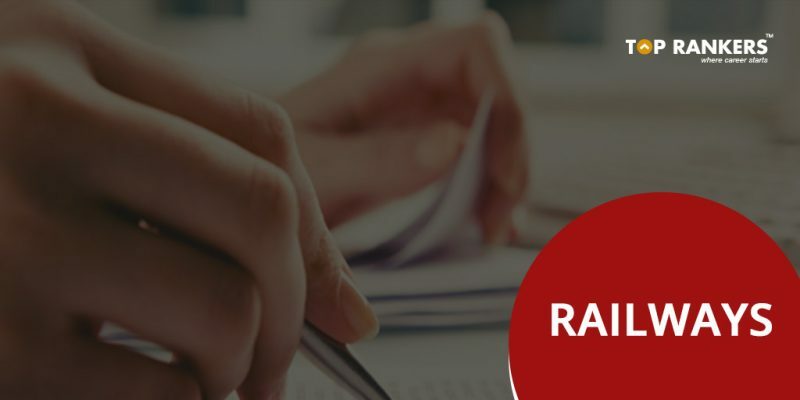 As the application date for RRB TC is nearing its start, Candidates are keen to know in detail about RRB TC Selection Process 2018. The selection process for RRB TC consist of 4 phases. An online computer based test will be conducted and The candidates shortlisted in the online examination will be called for a Personal Interview followed by Medical Test and document Verification. This is great opportunity for all the Aspirants looking to join Indian Railways as a Ticket Collector. As the RRB is expected to release a vacancy of approximately 3000 posts, Aspirants should start their preparation to eliminate the competition. Well, the best way to prepare is by solving mock tests and so do we prepare Mock Tests to help you make your preparation smooth and efficient. The Selection Process for RRB TC consists of 4 phased process. An online Computer based Test will be conducted initially. The candidates shortlisted in the online examination will be called for a Personal Interview followed by Medical Test and document Verification. The online Computer based test will consist of 6 sections consisting of questions from General Awareness, General Intelligence, Arithmetic, General Science, Reasoning & Technical Subject. There are a total of 120 questions with each carrying 1 mark for the correct answer. All the candidates shortlisted in the Online Examination (CBT ) will be called for a personal Interview. The performance in the personal interview is looked upon and a new list of qualified candidates is prepared and are asked to appear for the Medical test. On the basis of the revised list of qualified candidates after the Interview, Candidates will be called for Medical Test. Various aspects such as Eye vision, Colorblindness, Physical Standards are carefully scrutinized. Once a candidate clears the medical Test Successfully, Candidate will be called for a Document Verification as per the requirement. 1. A1 Physically fit in all respects. Visual Standards —Distance Vision: 6/6, 6/6 without glasses. Near Vision: Sn: 0.6,0.6 without glasses (must clear fogging test) and must pass test for Colour Vision, Binocular Vision, Field of Vision & Night Vision. 2. A2 Physically fit in all respects. Visual Standards—Distance vision: 6/9, 6/9 without glasses. Near Vision: Sn: 0.6, 0.6 without glasses and must pass test for Colour Vision, Binocular Vision, Field of Vision & Night Vision. 3. A3 Physically fit in all respects. Visual Standards—Distance Vision: 6/9,6/9 with or without glasses (power of lenses not to exceed 2D). Near Vision: Sn: 0.6, 0.6 with or without glasses and must pass test for Colour Vision, Binocular Vision, Field of Vision & Night Vision. 4. A4 Physically fit in all respects. Visual Standards — Distance Vision: 6/9,6/12 with or without glasses (power of lenses not to exceed 4D). Near Vision: Sn: 0.6, 0.6 with or without glasses when reading or close work is required and must pass test for Colour Vision, Binocular Vision, Field of Vision & Night Vision. 5. A5 Physically fit in all respects. Visual Standards — Distance Vision: 6/9,6/12 with or without glasses (power not to exceed 4D). Near Vision: Sn: 0.6, 0.6 with or without glasses when reading or close work is required and must pass test for Field of Vision. 6. A6 Physically fit in all respects. Visual Standards — Distance Vision: 6/12, 6/18 with or without glasses. Near Vision: Sn: 0.6, 0.6 with or without glasses when reading or close work is required. 7. A7 Physically fit in all respects. Visual Standards — Distance Vision: 6/12, Nil with or without glasses. Near Vision, Sn: 0.6 combined with or without glasses when reading or close work is required. For all the candidates qualifying the medical Test will be called for the final round of selection process, Document Verification. Candidate needs to reach the required venue will all the required originals. Once verified, You will be selected as RRB TC in Indian Railways. admin……….. what kind of questions will be asked in technical subject?